Pub pool tables are meant to make a profit while entertaining your customers – and Manco offer a number of pool table rental and profit-sharing arrangements to help you to maximise your take. But sometimes it’s good to give something back too, and Manco are proud to do our part to support charities when we can. One example of this is our recent work with a local school, where we were able to donate the takings from coin-operated pool tables to the school’s fundraising efforts for a breast cancer charity. We know not all businesses can do this – and we can’t do it all the time either – but occasionally this is a way for our coin-operated pool tables to help give back to the community. There are lots of different coin-operated machines for pubs, clubs, community groups and schools to choose from, and they all give immediate entertainment in return for the money people put into them. Whether it’s a game on a quiz machine or pool table, or a song played on a jukebox, it means people get something in exchange for the money they give you – encouraging more people to part with their loose change. You could choose to donate all of your profits to charity, or even just a small percentage, which can build up to a decent donation over the course of a year or more. The final months of the year are traditionally a time when charity dates start to come thick and fast, with Children in Need falling in November of each year. Christmas Jumper Day comes on Friday December 14th in 2018 and typically around the same time each year too – so you could link a share of your quiz machine or jukebox takings with the donation you make for that. Or of course Christmas in general is a time for giving – Boxing Day takes its name from the tradition of collecting in charity boxes on December 26th, so why not make it Jukeboxing Day this year? As we have already said, at Manco Automatics we are proud to support charities when we can, and that sometimes means donating a portion of our own profits towards the fundraising efforts. 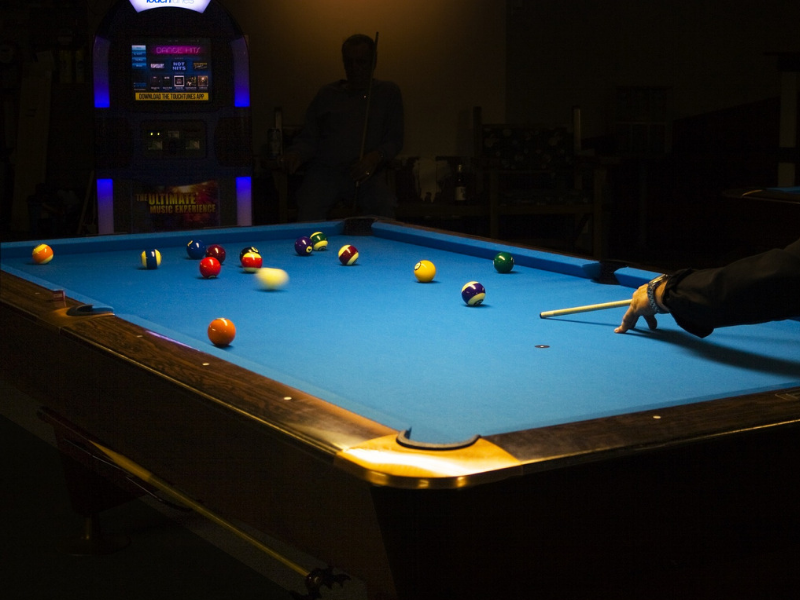 Even if we are not able to help directly with a financial contribution, our profit-sharing arrangements mean you don’t have to pay upfront to hire pool tables and other coin-operated machines from us. That means you keep an agreed percentage of all profits from the machine – and you can then donate some or all of this to charity safe in the knowledge that you won’t be left facing any costs either.